When the needs of the construction industry demand strength, beauty, integrity and durability, precast/prestressed concrete is there. From bridges of incomparable beauty and sustainability to office buildings that blend with the environment. From the very latest in manufacturing/processing plants to high-tech chip fabrication buildings. 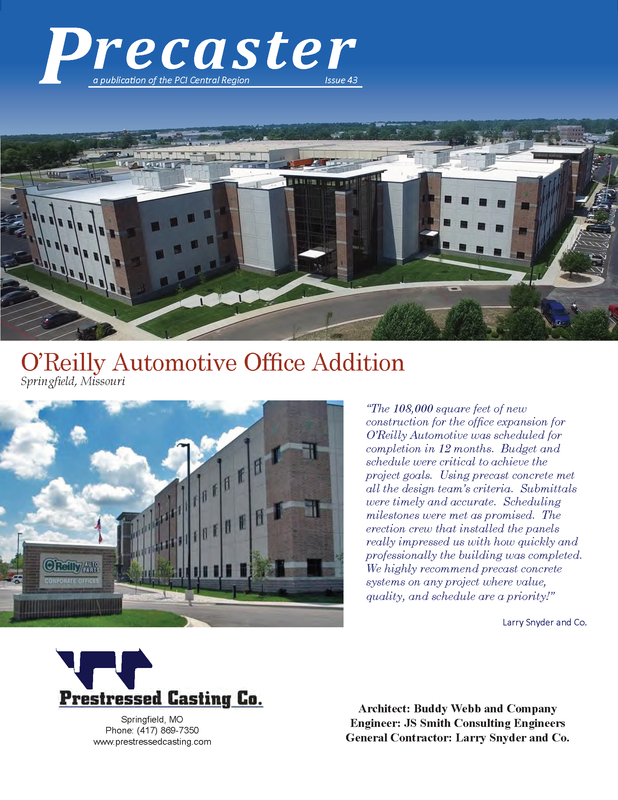 Segmental bridges, airport control towers, college dormitories to huge parking structures, they're all about precast/prestressed concrete. on the screen displaying the information. Users of the PCI Central Region Web Site may save and use information contained therein only for personal use. of the information posted here in, and PCI Central Region assumes no responsibility or liability regarding the use or misuse of such information. Links or pointers connecting the PCI Central Region Web Site with other Internet sites are provided as a courtesy only. PCI Central Region assumes no responsibility or liability for the content, accuracy or compliance with applicable laws of such linked sites.